There aren’t many owners who would turn to the public looking for help to build their new yacht. However, this is exactly what CuttySark2Sail hopes to do with its attempt to build a replica of the famous 19th Century Cutty Sark through crowdfunding. The organisation, headed by Vladimir Martus, hopes to recreate the original cargo vessel in an attempt to promote traditional shipbuilding skills, educate new generations in the art of sailing and bring attention to this environmentally friendly method of ocean transport. Global warming - caused in part by boat fuel emissions - with its effects on coral and fish populations is currently considered one of the biggest threats to the world’s oceans. At this early stage the team is hoping to raise €105,000 through crowdfunding to pay for skilled naval architects who will design the ship to stay within the original lines of the Cutty Sark while integrating modern safety equipment and technologies. Once designs have been approved, the team is then encouraging the public to help in the physical build of the Cutty Sark 2 through project management, promotion, sailing or even just leading tours of the shipyard. The team is aiming for a launch date of November 22, 2019 to mark the 150th anniversary of the original boat’s launch in 1869. 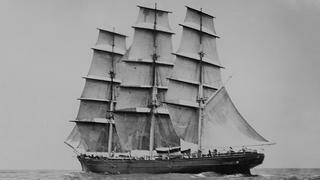 Once launched the Cutty Sark 2 will sail historic routes to China, Australia and the Americas as a commercial cargo ship carrying tea, coffee and wool. As part of the co-operative ethos behind the project, anyone wishing to experience the ship in its full glory will be able to join the crew as a trainee. The full project is expected to cost anywhere from €12 - €24 million so financial support is vital to see it through to completion. As with most yachting start-ups, donations garner various rewards depending on the amount given. 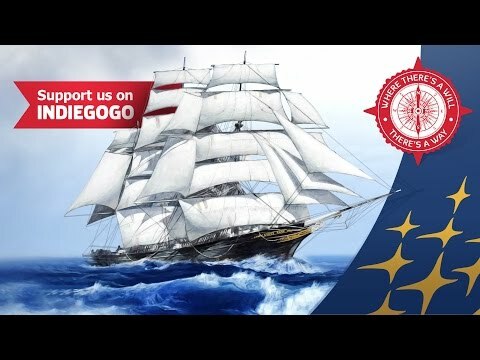 Pledges to the Cutty Sark 2 begin at $5 and go up as far as $50,000 with rewards spanning everything from a simple thank you to wristbands, T-shirts, a lifetime of free visits on board the vessel and even attendance and input at design meetings. The project has just 18 more days to reach its initial €105,000 target so to make your pledge visit indiegogo.com now.